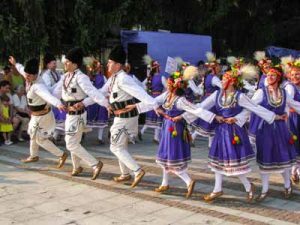 The Classical Tour of Bulgaria is tailor-made tour that shows you the best of Bulgaria: its culture, history and folklore. You will visit its most interesting UNESCO World Heritage sites and discover Bulgaria’s rich archaeological heritage Thrace, Orpheus, the blend of ancient Greek and Latin cultures and later Ottoman influences. On the road you will also enjoy pristine natural landscapes, the Black Sea coast, excellent wine and home-made food and traditional Bulgarian singing and dancing. As a local tour operator and DMC we can recommend the best sites to visit, help with the organisation of the journey and bring you into direct contact with the Bulgaria’s cultural and folk heritage. 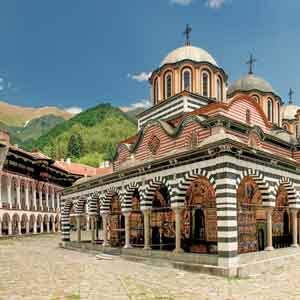 The Classical Tour of Bulgaria is a guided tour that is usually 8 days and can be extended to 12 days. Sofia is Bulgaria’s capital with interesting museums and churches from multiple periods of history. 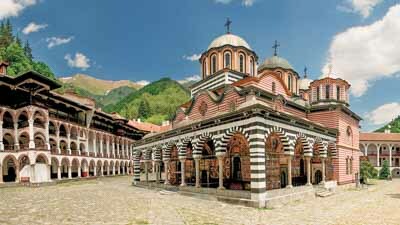 The Rila monastery is Bulgaria’s most splendid monastery set in the Rila mountains. Plovdiv is located on the Via Diagonalis that connects East to West, Asia to Europe and has brought us a taste for exotic products and religious beliefs. Kazanluk is a unique Thracian tomb with stunning frescoes depicting the beliefs of the Thracians. Sozopol an ancient Greek settlement of on the Black Sea coast. Nesebar is a UNESCO World Heritage site and has unique architecture from the ancient Greek colony to the Byzantine and Ottoman period all the way through to the XIXth century Bulgarian Revival. Veliko Tarnovo is the midieval capital of Bulgaria’s golden age. The Valley of Roses to find out how the precious rose essential oil is made. The Classical Tour of Bulgaria can be adapted to your personal preferences, time and budget. Location: Bulgaria: Sofia, Plovdiv, Rila monastery, Veliko Tarnovo, Nesebar, Varna. More information and photos of the Classical Tour of Bulgaria. There are many options to tailor the Classical Tour of Bulgaria to your personal preferences. You can combine it with the Classical Tour of Thrace that encompasses Thessaloniki, Pela, Vergina, Kavala, Philippi in Northern Greece and Edirne, Istanbul in Western Turkey.